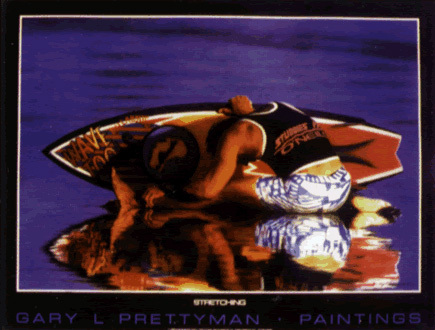 Surf Art - Gary L. Prettyman - Fine Art, Photography, & Paintings. San Diego. 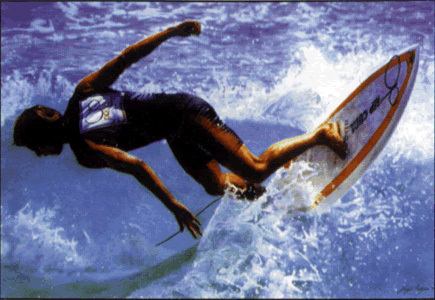 Gary Prettyman has gained high recognition within the surfing community for his contemporary style of surf art. 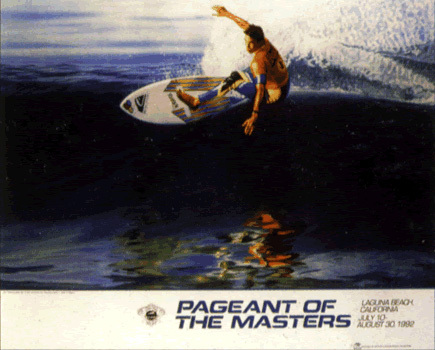 Among his collectors are Gotcha, Ocean Pacific, Surfing Magazine, Waterfront Hilton, and the Charthouse. 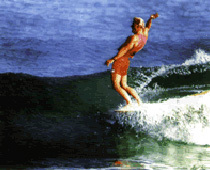 A historical rendition of Dewey Weber captures the beauty and spirit of this surfing legend, at Malibu in the 60's. Now available as a beautiful Giclee' print. These ultra-fine high quality lithographs are printed on premium papers to accurately capture the life, richness, and detail of Gary's original Acrylic paintings.